Newcomer Family Obituaries - John Andrew Gralak 1949 - 2018 - Newcomer Cremations, Funerals & Receptions. 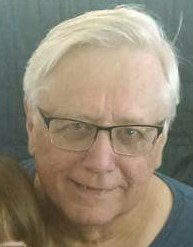 John Andrew Gralak, age 69, passed away on July 31, 2018. He was born on April 8, 1949 to the late Lois (Marok) and Daniel Gralak in Toledo, Ohio. John worked at Unyses as the Quality Assurance Manager. He also worked at Schindler as a Computer Tech. John loved traveling all over the country, gardening and photography. He also enjoyed outdoor grilling on his TraegerGrill. John adored his 6 step-grandchildren and loving and hugging all of them. John is survived by his beloved wife Carol; sister, Sandee Michalak; step-daughter, Wendy Wisniewski; step-son Jeffry Ellis; step grandchildren, Logan Ellis-Sobczak, Isabelle McLaughlin, Simon Wisniewski, Ava Wisniewski, Peter Wisniewski and Caleb Ellis; nephew, Matt Michalak. In lieu of flowers the family requests Memorial Donations be made to University of Michigan Football or St. Jude Children’s Research Center. To leave condolences for John’s Family, please share a memory. Add your memories to the guest book of John Gralak. My sincere condolences to John's family. I worked with John at Unisys for over 30 years. We remember the great times we had with John, Sandee & Ron Michalak and many Toledo friends associated with Meeechigan Football in the '70s-'00s. We are so sorry to learn of his passing and we send our condolences to his family, particularly the Michalaks. John, we haven't seen each other in awhile, but I have fond memories from our childhood days on Hartman St. where you grew up with your family. As I recall that was the house where our fathers, Felix and Daniel grew up when they were children. May you rest in peace and I want to thank you again for your service to our Country in the United States Navy.